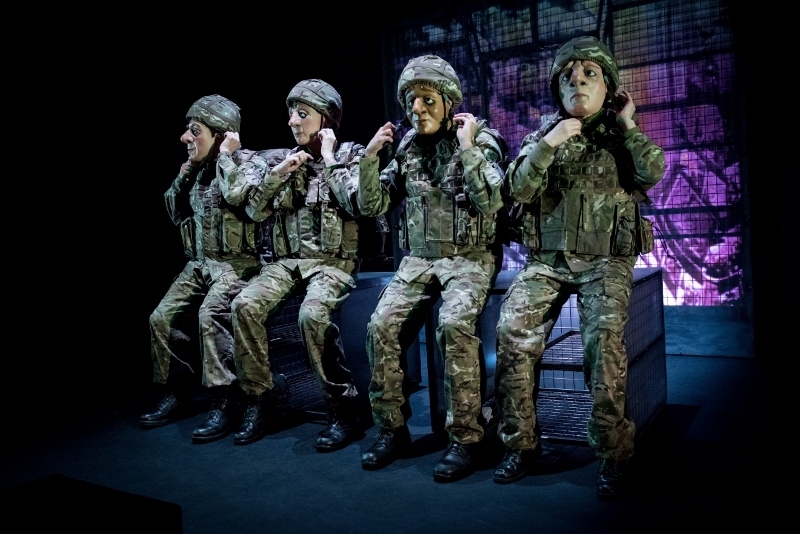 An award-winning masked theatre company is taking on the complex issue of post-traumatic stress in a compelling new production that is being performed at the Lichfield Garrick later this month as part of a UK tour. 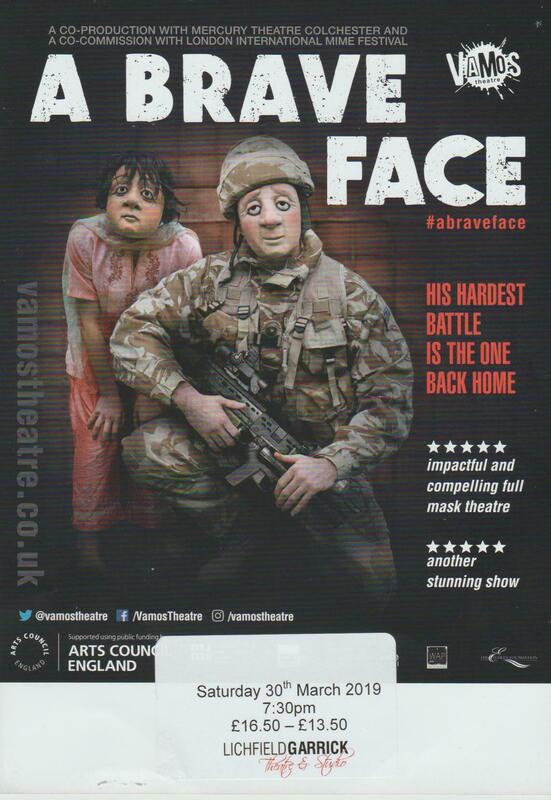 Vamos Theatre, the country's leading full mask theatre company, has produced A Brave Face following two years of research with serving and former soldiers, families and health professionals. Set in Afghanistan in 2009, it centres on young soldier Ryan who is there to see the world, learn a trade, and get a life. But on one particularly hot and desperate tour of duty, Ryan sees things he can't talk about, to anyone. And then, when he returns home, the trouble really begins. A Brave Face, which can be seen at the Lichfield Garrick on March 30, explores post-traumatic stress - an unseen and often unrecognised injury of war - and the impact it can have on even the closest of families. With compassion and fearlessness, Vamos Theatre brings its trademark, wordless, full mask style to a story that needs to be told. Working in a co-production with The Mercury Theatre, Colchester, Vamos aims to create a better understanding of PTS and encourage coordinated support for those who live with it. 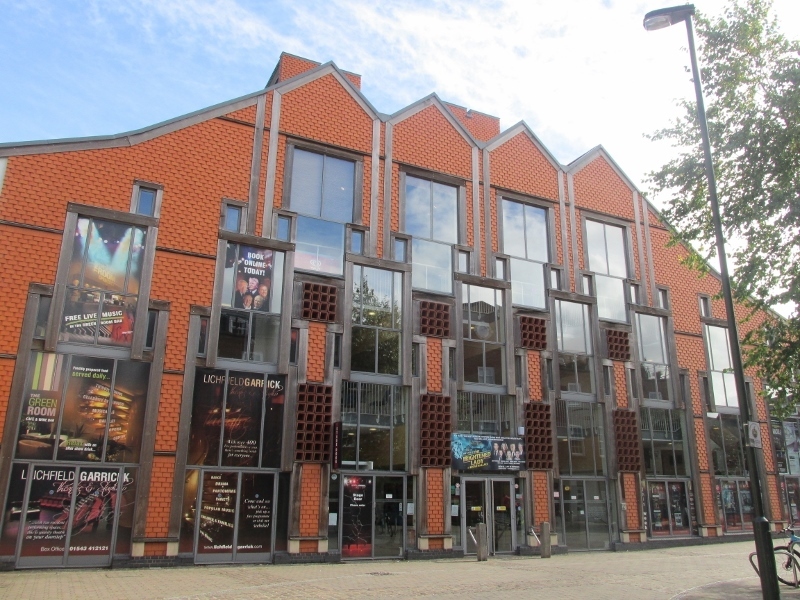 The company has based the production on the real-life experiences of those affected, a technique for which they have gained a strong reputation over their 12-year history, previously tackling issues such as dementia and forced adoption. Artistic Director Rachael Savage has been at the forefront of the research, which has seen her meeting not only veterans, but their families, serving personnel, and organisations and professionals who support those living with PTS. She said: "We want A Brave Face to show honestly what PTS is and can mean to soldiers and to their families, who often find themselves on the frontline in coping with the condition: they deal with the trauma, as well as instability, social isolation, loneliness - often with no support. The input of those who have helped us make the show has been invaluable - at every stage their generosity continues to be extraordinary, particularly those for whom discussing PTS can be in itself traumatic."